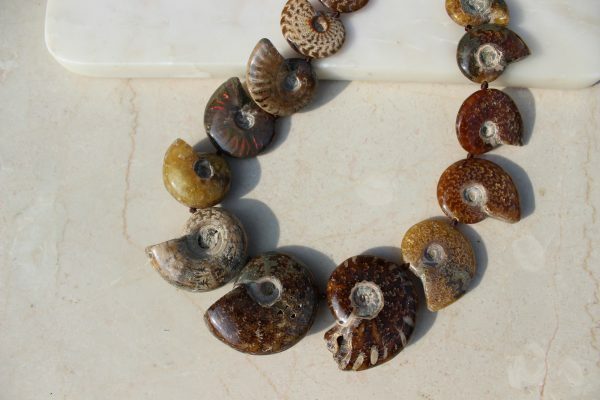 This stunning necklace is made from prehistoric fossils, that are billions of years old. 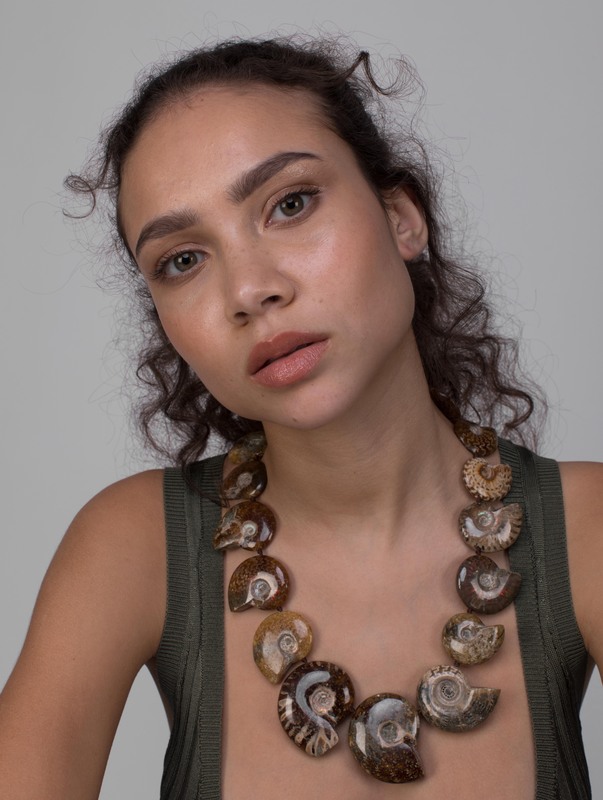 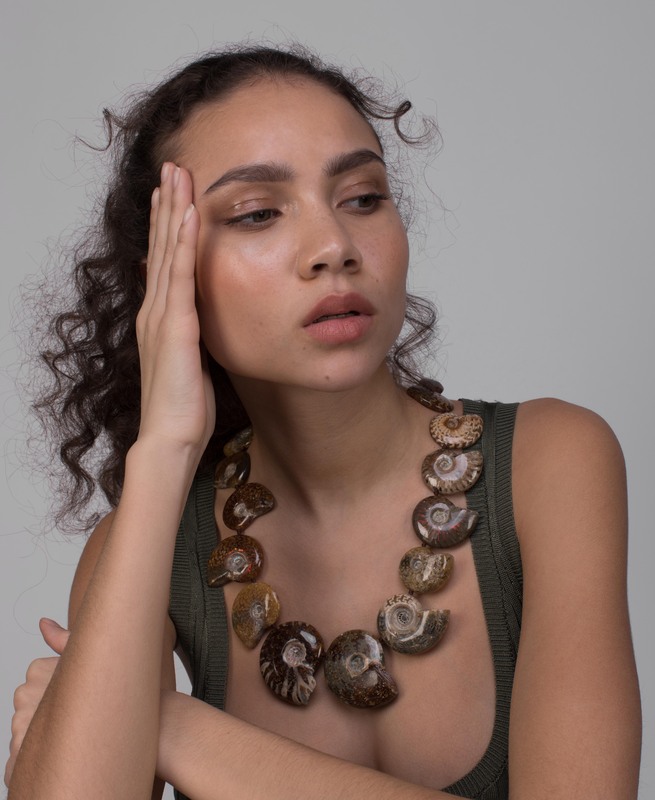 We have turned them into beautifully curated wearable art. 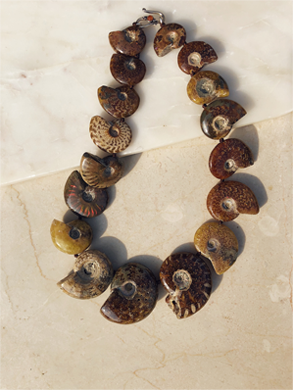 This is a rare calibrated necklace of 17 authentic ammonite fossils.